There’s no shortage of awesome Artoo accessories and we wouldn’t have it any other way. He’s easily the most adorable astromech droid in any galaxy, near or far far away. This particular R2-D2 item doubles as a fashion accessory and an action figure. 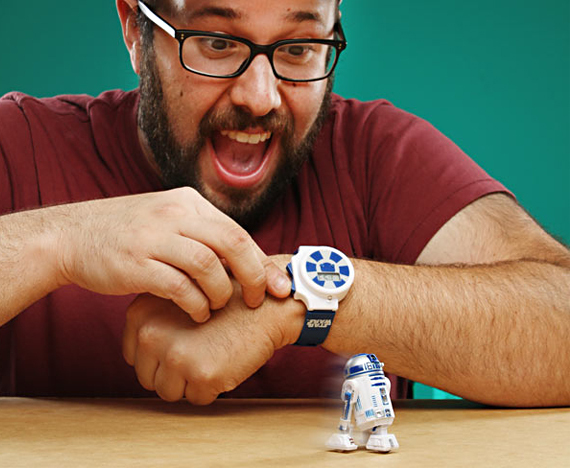 Not only do you get a blue and white R2-D2 watch, you get a little RC R2-D2 that you can control with The Force… of radio control. You could probably convince the small children you babysit that you really had The Force… right up until it was bedtime and they realized your Jedi mind tricks don’t work on them.